Lotus Rice has been reaching out the world widely and become an international food brand selling over 20 countries: USA, Europe, Australia, Canada, Africa and other parts of Asia. 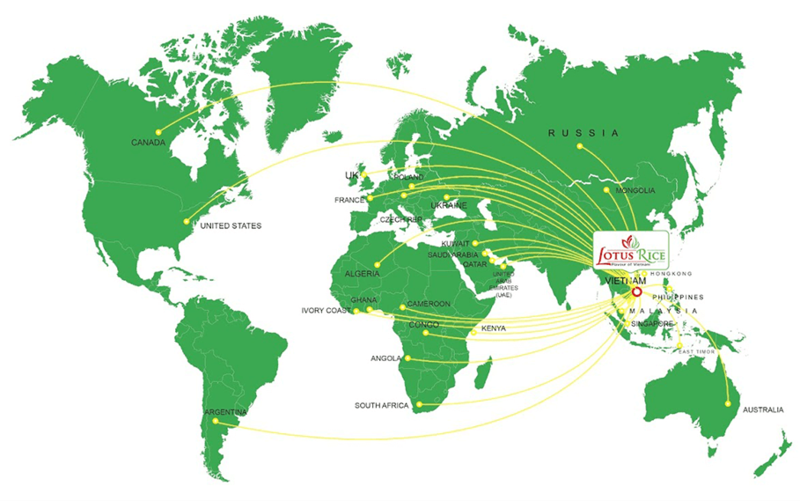 Every year Lotus Rice participates in several international food fairs, where it meets global customers' demand and consistent support. Lotus Rice has gained the trust of customers, partners and has nurtured professional relationships that enable mutual growth and benefits. You can buy Lotus Rice in local and global supermarkets or from your food service distributors.